Gerard F. Vallone is an interfaith minister and Retired Professor who specializes in critical thinking, philosophy with children, and religious philosophy. 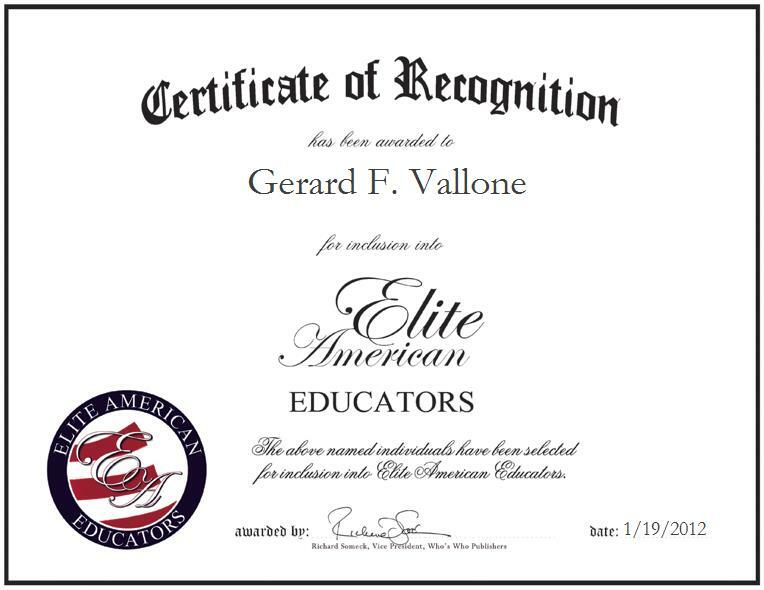 Prior to his retirement, Dr. Vallone taught at Pace University, and developed workshops focused on critical thinking for students and teachers; these courses helped individuals to concentrate on the process of thinking that questions assumptions. Workshops were offered to elementary school through graduate school students. Dr. Vallone has written a book entitled “Thinking! What am I don when I am Thinking?” and a book entitled “Practical Spirituality for the Temporally Challenged Professional.” Dr. Vallone holds a Ph.D. in Philosophy, which he earned from Fordham University. He has built on a vast knowledge of philosophy over the course of a 43-year spanning career, and he continues to strive for excellence in his every endeavor; Dr. Vallone looks forward to publishing more books in the near future.